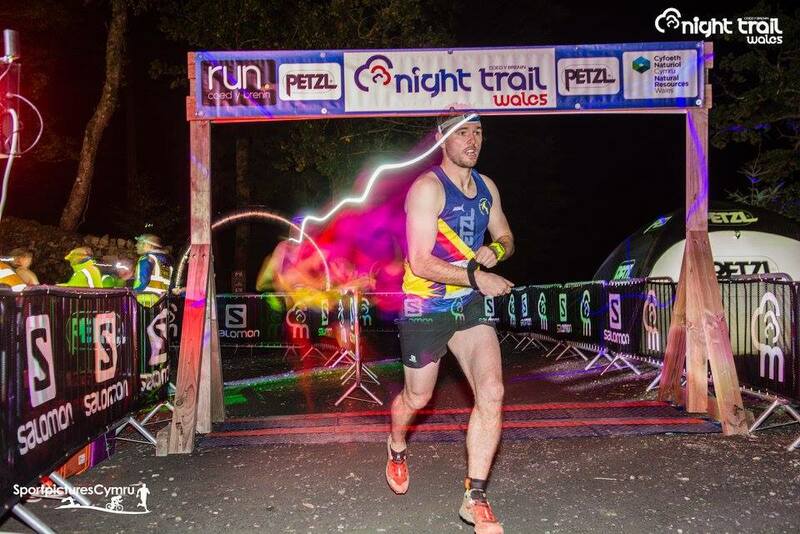 Racing was phrenetic and partying was obligatory at the 2016 Petzl Night Trail Wales on Saturday. 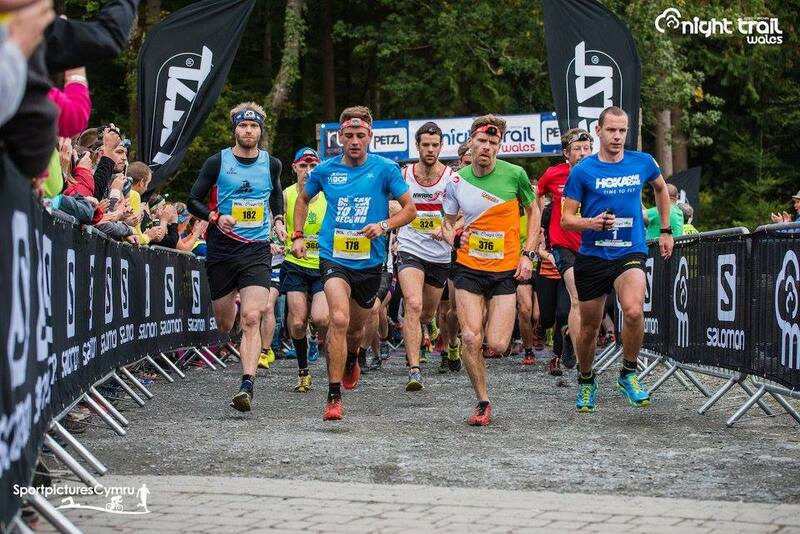 With over 300 trail runners enjoying some wonderful early-Autumn weather the Coed y Brenin atmosphere at the 3-hour race was electric, as the team and solo participants wound their way around the 3km loop. 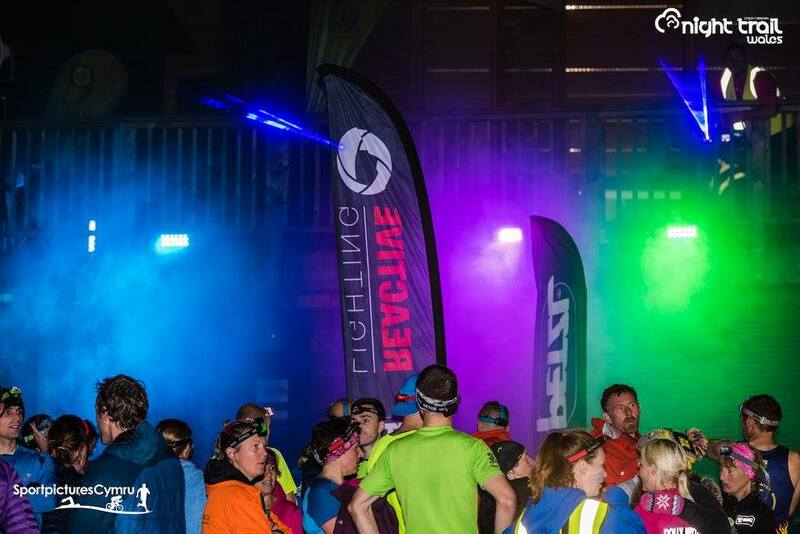 The quest to complete as many laps as possible in 3 hours delighted the runners and spectators alike as the visitor centres were transformed into an amphitheatre of colours, lights and music. The ‘runnable’ 3km lap was deliberately made “not too technical” by race organiser Matt Ward, with enough elevation to sort out the runners. 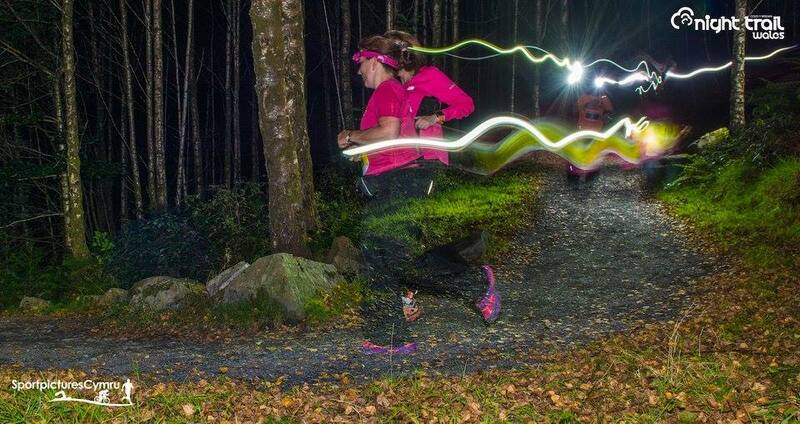 Starting at 6pm meant that the race started in the dusk of an Autumn Saturday evening, and ended in full darkness. Results were determined by those runners who completed the most number of laps in 3 hours, whether a 3-person team or solo competitor, and spectators were kept up to date with race commentary and leader board style updates for the leaders. 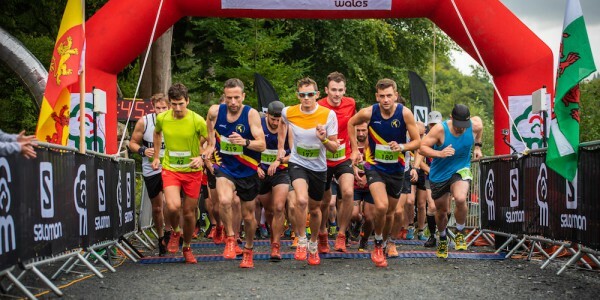 The racing up-front was fast from the start with first-off runner Paul Jones leading his Meibion Glyndwr team to a commanding win, as along with Ifan Richards and Jason Jones the Welsh raiders completed 14 laps. 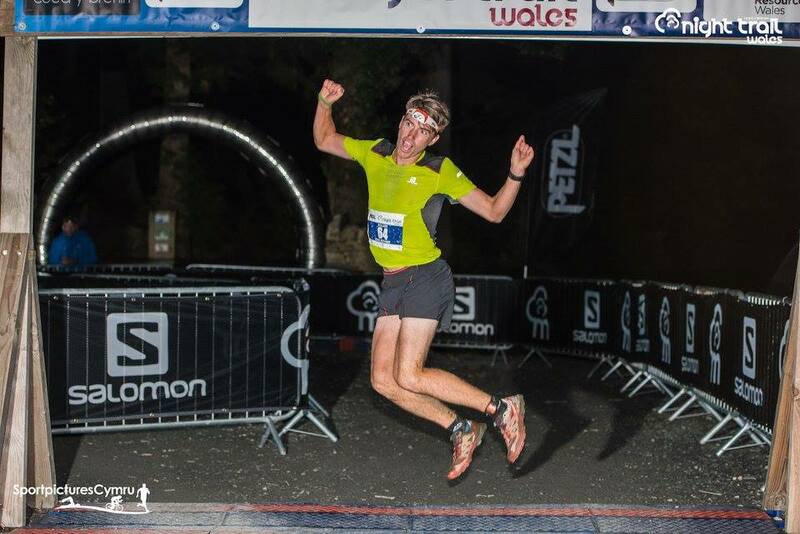 Paul’s time of 12 mins 01 second was also the fastest time by any runner on the night for one lap. 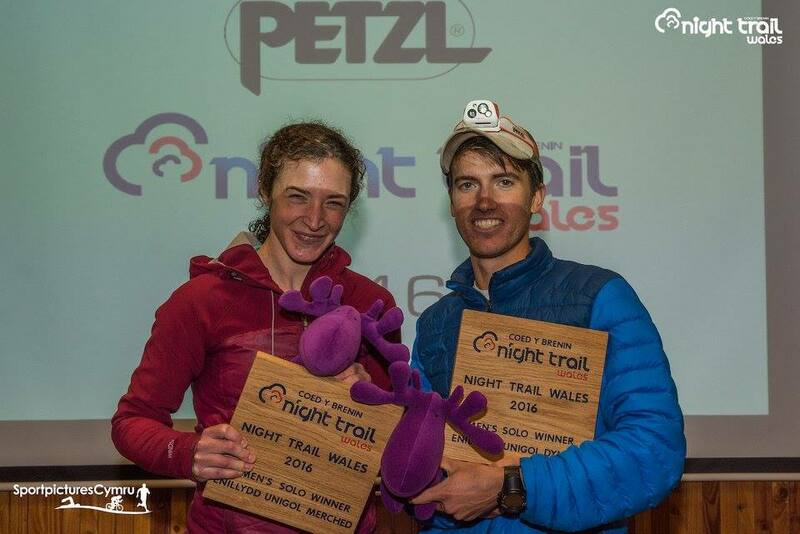 North Wales Road Runners ‘off-road’ squad took second, with 2015 winners Old Skool MTB finishing off the podium in 3rd. Dashing Dollies from Welshpool were clear winners in the womens race, and in the mixed team race Plodars Port were triumphant too. 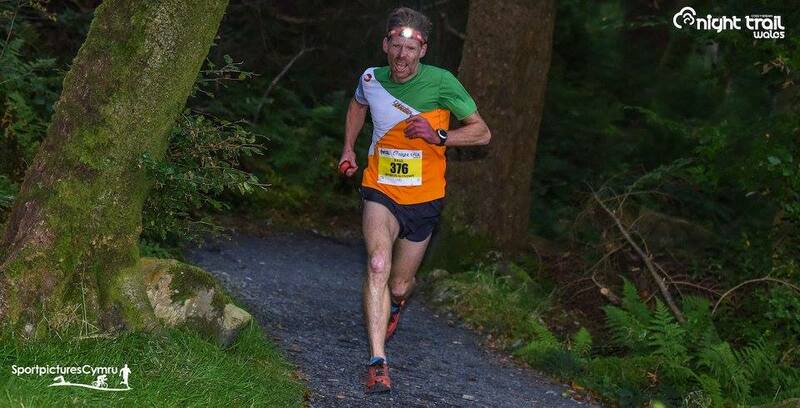 In the solo event there was a titanic battle as Alaskan trail runner Allan Spangler (Salomon) overtook the race-long leader Callum Rowlinson on the very last lap to take a famous win, completing 13 laps in 3:12:48. By his own admission Rawlinson was “cooked” on the last lap and Spangler used his ultra-running prowess to power through and win by over 2 mins by the finish line. 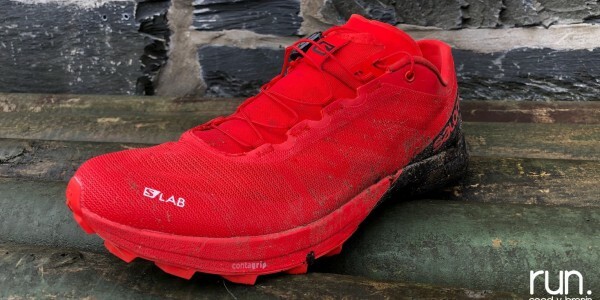 Profeet Sports Lab athlete Jack Blackburn completed the top three. 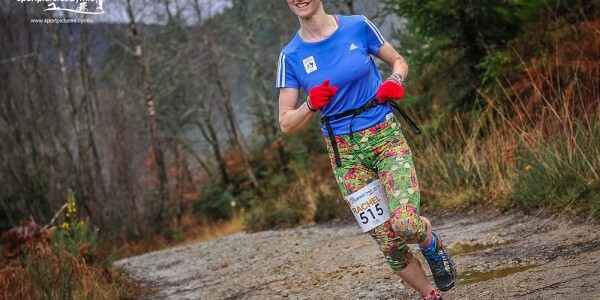 Lizzie Irvine from Eryri Harriers was the inaugural winner of the women’s race in 2015 and was back to defend her title in 2016. However for the first 7 laps of the event it was English international Ali Lavender who was well in the lead, before a recurring hip injury forced her to step off the course. This left Irvine able to come through and take another fine victory, making it two wins in two years, completing 10 laps in 3:01:22. Sophie Southerden (2nd) and Anneliese Loveluck (3rd) completed the top 3. “What an awesome event! 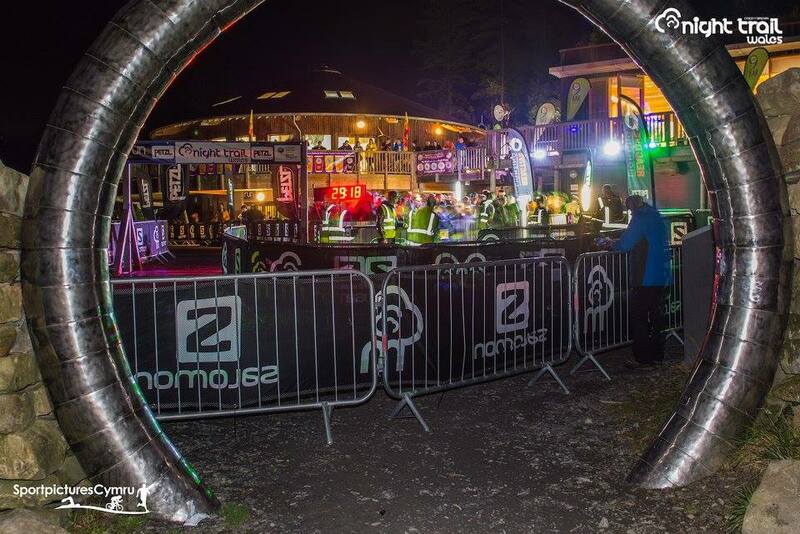 Challenging, great fun, amazing atmosphere, and you get a glass tankard full of Purple Moose beer! Thanks the team for a fab night”. “The event has almost doubled from 2015 and we have fine-tuned a few bits from last year. We are at the limit now of 100 teams and 100 solos and I expect that it will sell-out once again in 2017 if the feedback we have had is anything to go by. “The standard has also risen in terms of racing this year with some top internationals taking part in the team and solo events. 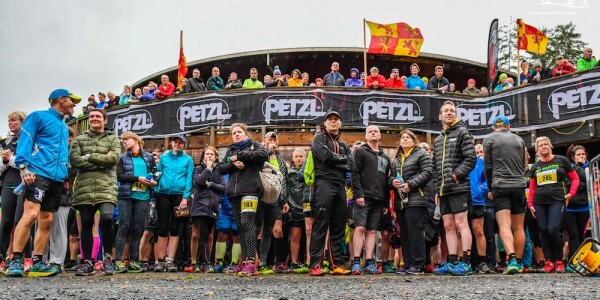 The 2017 Petzl Night Trail Wales event will take place on Saturday the 7th of October, with entries going live on March the 1st, 2017.